You know how sometimes, your high school crush grows up to be an insanely famous movie star? Okay, probably not. But I do. Back in high school, Trip Wiley's fanbase only encompassed the denizens of the nothing little suburb of Norman, New Jersey. In the summer of 2000, Layla Warren is enjoying her career as a journalist in New York City (well, sort of), while Trip spends most of his time grabbing Hollywood by the balls. In the days before what will turn out to be his skyrocketing fame, they'll find themselves confronted with some life-altering choices. Thought the 2nd book was even better than the first. Totally felt the characters and so sad for Layla and Trip. Can’t wait to start the 3rd book! The narrator is excellent! I liked this story as the continuation from the first, but the story kind of made me made. They had all that we strive for in a relationship, but their communication skills sucked bad. They failed to see that they make each other happy. However, I do love how they completed each other unconditionally. I loved this story and the narration. The energy was great and kept me interested. Couldn't stop listening. Loved Layla and Trip and their high school friends. Lots of detail. Overall fun book. The narrator was excellent. She did a wonderful job with the characters and their personalities. Loved the first and second in this series. Looking forward to the next in the series. Can not wait to start the third book! New favorite trilogy. If you are a child of the 70s and 80s, This is the book for you. Why are you breaking my heart all over again???? Where does Remember When Two rank among all the audiobooks you’ve listened to so far? 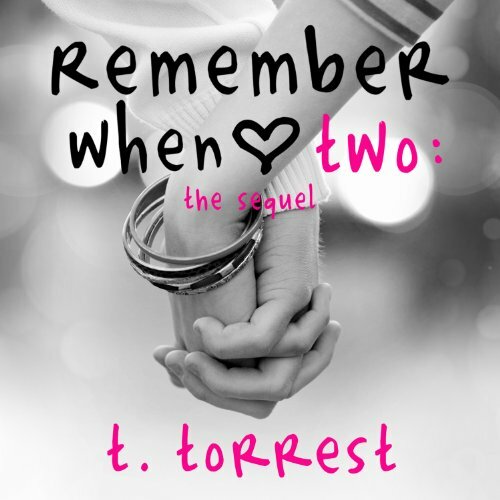 What was one of the most memorable moments of Remember When Two? The ending (no spoilers) is fabulous. Let's just say, I want Trip to by my boyfriend. It did not make me cry as much of the first book...but I am still reeling from the sadness!!!!! I can't wait to read the final book!